This is a very versatile design that can accommodate a variety of symmetrical shapes with corresponding lower shelf. These shapes include circle, square, oval and rectangle as shown. 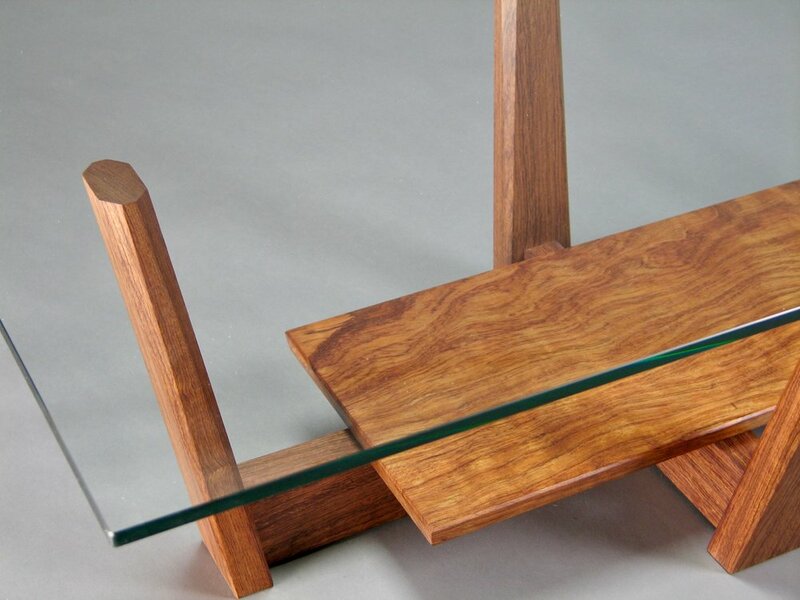 Matching side tables can also be made to any height utilizing the same design and structural language.